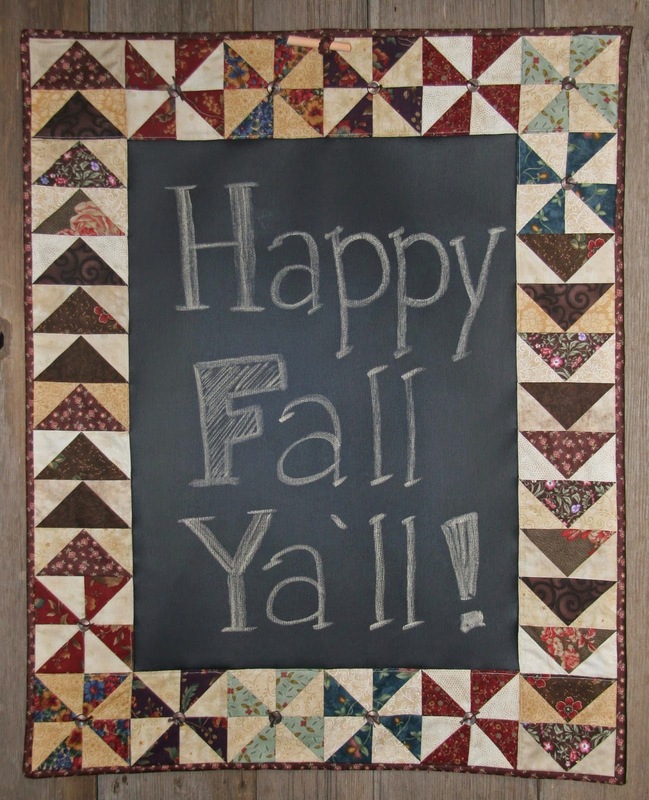 The fall season ushers in a host of craft and antique fairs around the country. 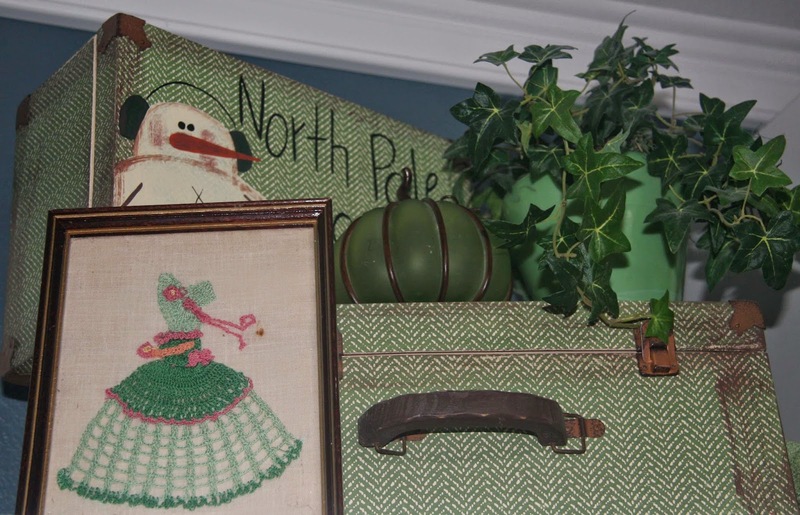 And upcycling and recycling junk is all the rage at the fairs. 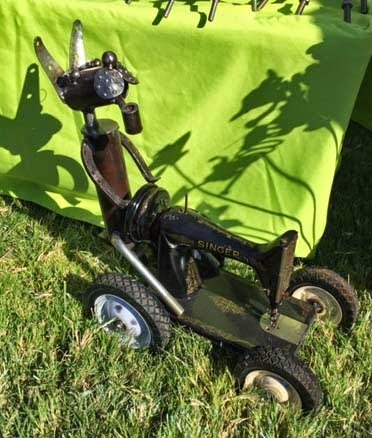 This morning, I spied this old Singer recycled into yard art. I guess Singers have more purposes than just sewing! 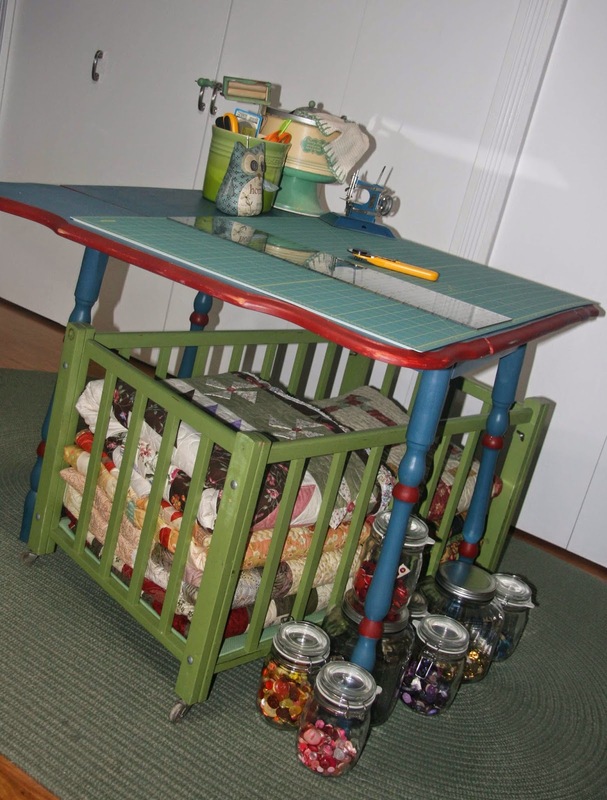 So how have you seen old sewing machines recycled? 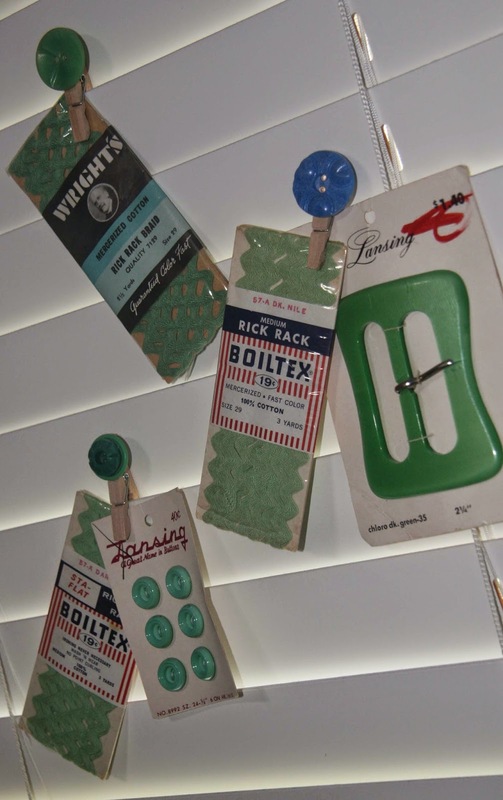 I love junking and my favorite finds are sewing related - old buttons, plastic thimbles, trims, measuring tapes and rulers. Upcycling these treasures into jewelry is one of the latest fads. 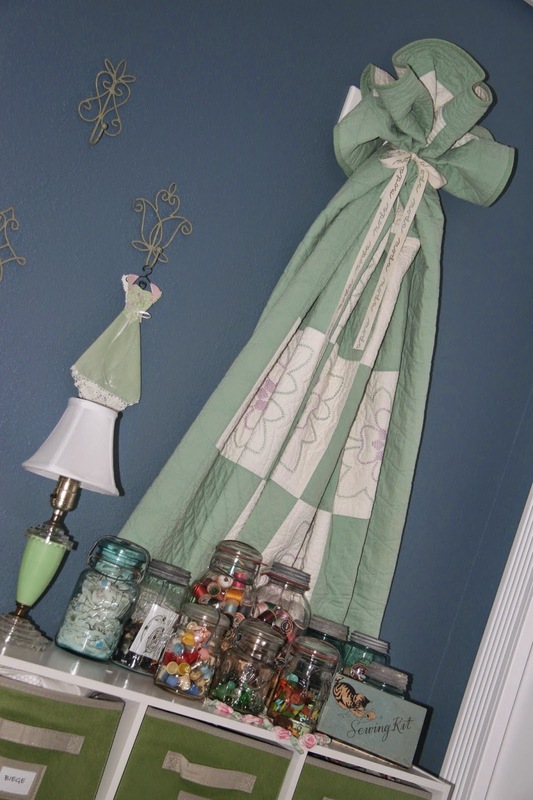 Pinterest and Etsy are great places to get ideas. 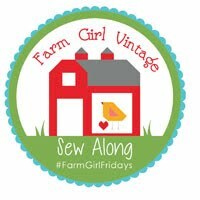 And with a few jewelry making supplies from the local craft store - jewelry glue, jewelry pliers and cutters, chains, clasps, and rings - you, too, can make your own fun and funky jewelry with a vintage flair. Measuring tape bracelets adorned with buttons! Of course they are in my favorite color - jadite green! Crosses are another hot accessory item. These are made from folding wooden rulers and dressed up with buttons and watch faces. The watch faces were a fun find at the Texas Antiques Week in Round Top, Texas. My personal favorite - a cross necklace made from my dad's folding ruler and my mom's antique filigree button. 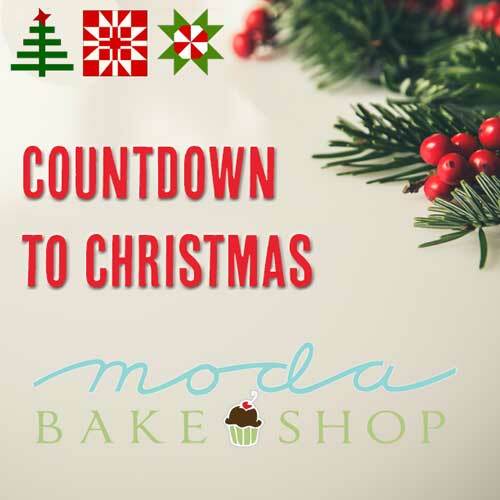 Wouldn't these make great Christmas gifts? One of the projects I'm currently working on is a scrappy curvy log cabin. 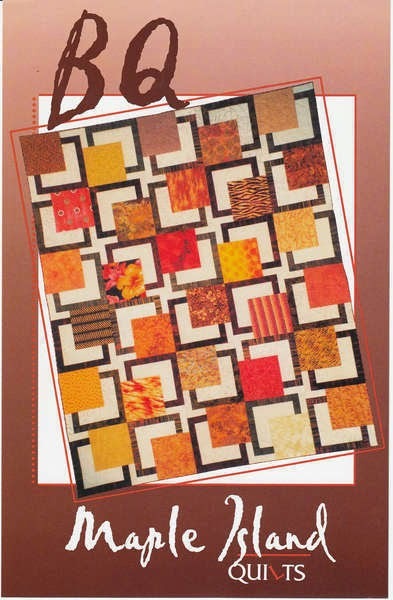 It is a challenge issued by my quilt guild. 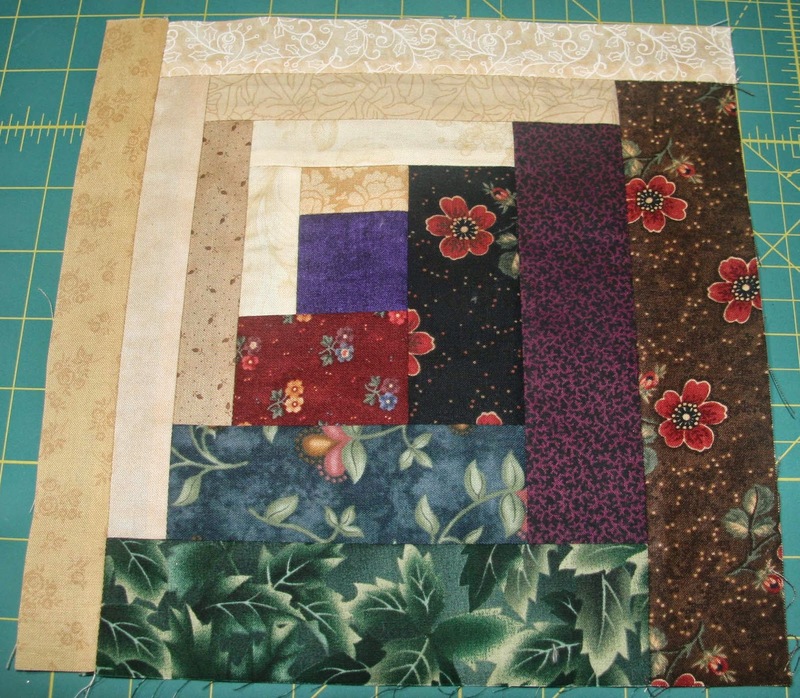 I've completed about one-fourth of my blocks. YIKES! 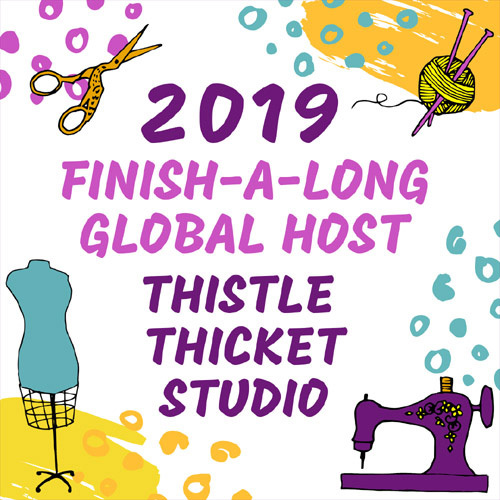 I need to kick it into high gear as the year is coming to a close and the quilts have to be completed in time to show at our December meeting. The curve in the block is created by cutting strips on one side that finish at half the width of the other side of the log cabin. I played with several layouts, and finally decided upon this one. What do you think? 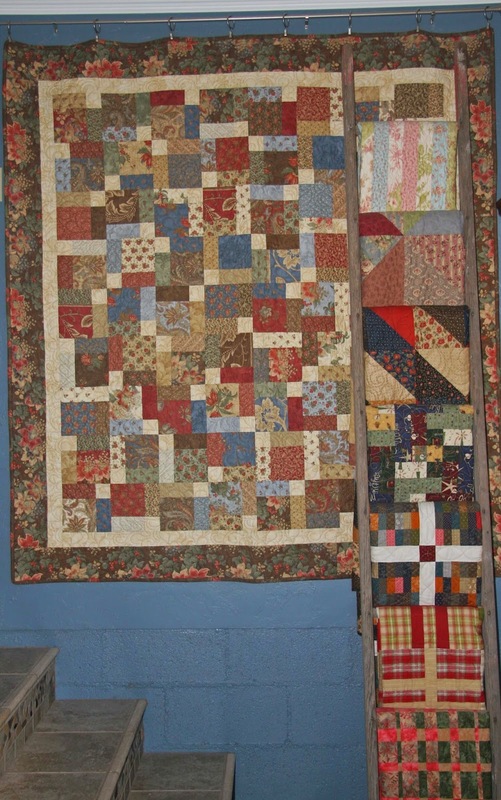 I challenge you to make a scrappy curvy log cabin - a great way to use up your stash! Click here for instructions on how to make my curvy log cabin. I have two grandkids, and like every Nana, I want to give them everything. 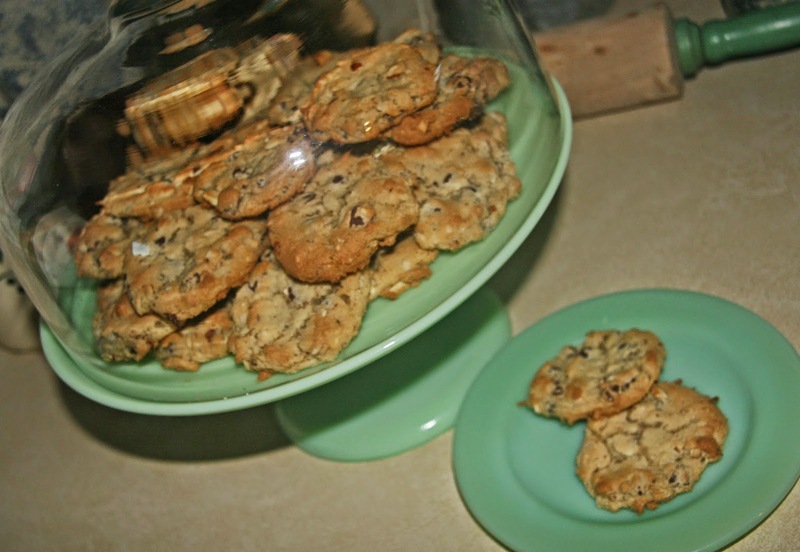 But I especially wanted to give them a one-of-a-kind keepsake when they were born. 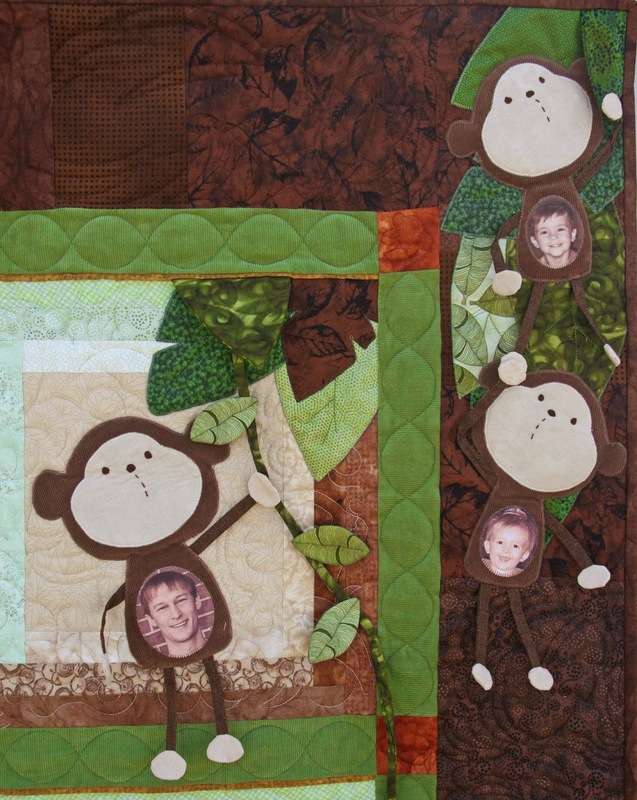 What could be more special than a photo quilt of their family at the time of their birth? 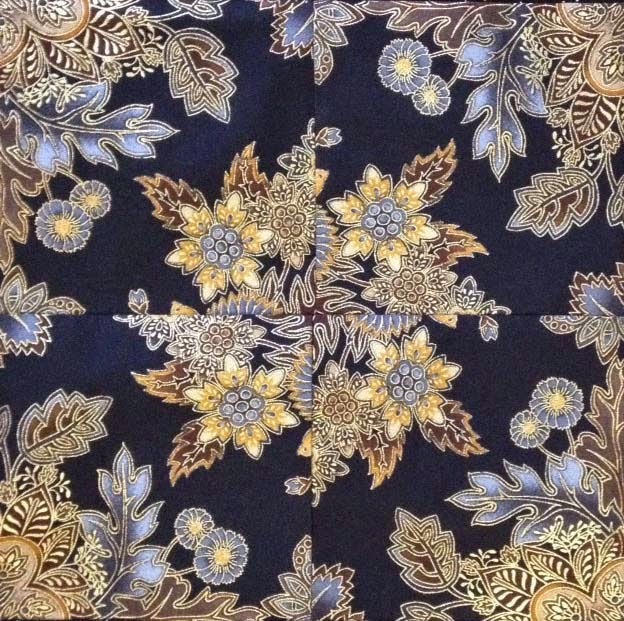 There are several photo printing fabrics available on the market that make it 'sew' easy to do (I used June Taylor's Sew-In Colorfast Fabric Sheets for Ink Jet Printers). 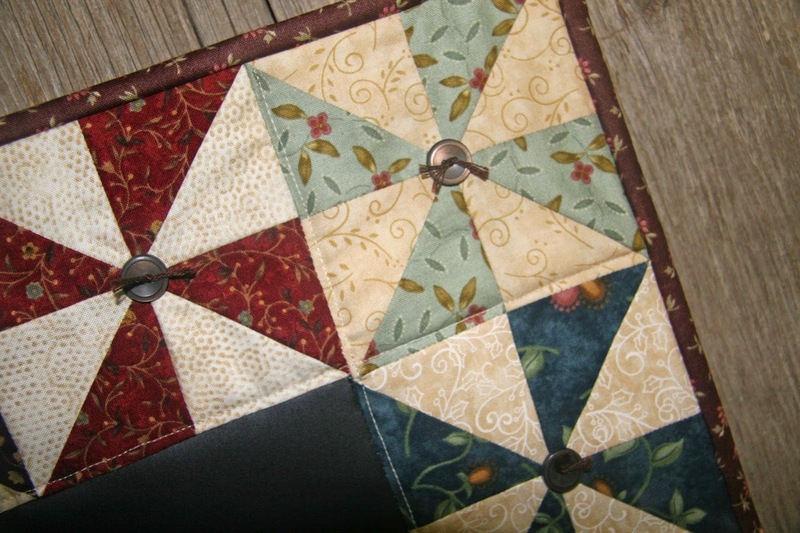 There is even a pattern or two out there to help you make that special quilt if you wish. 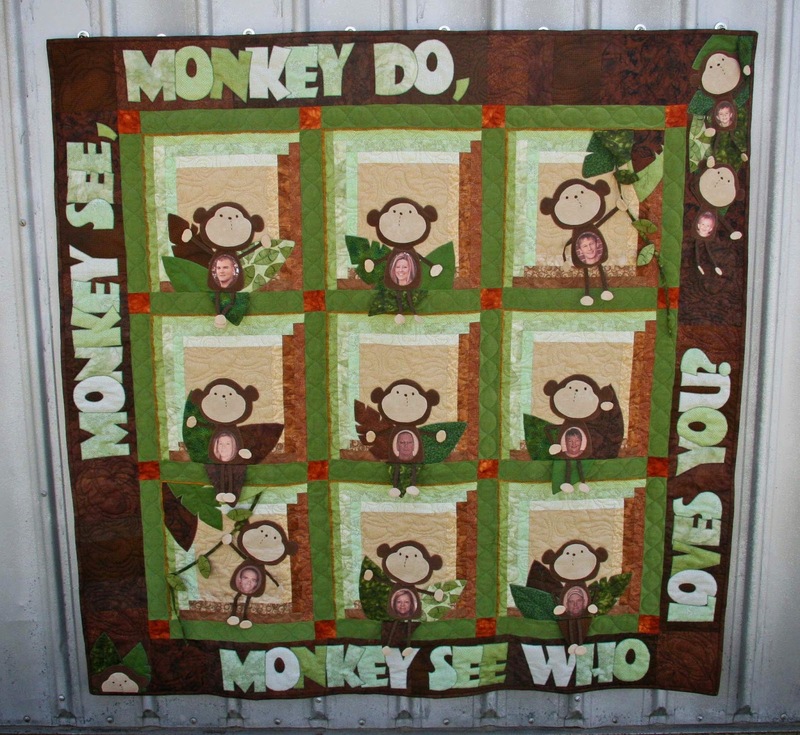 The "Monkey See, Monkey Do" quilt was made to be displayed on a wall, so those 3-D vines were never a danger to the baby. Yellow and gray chevrons was the theme for my second grandson's room. 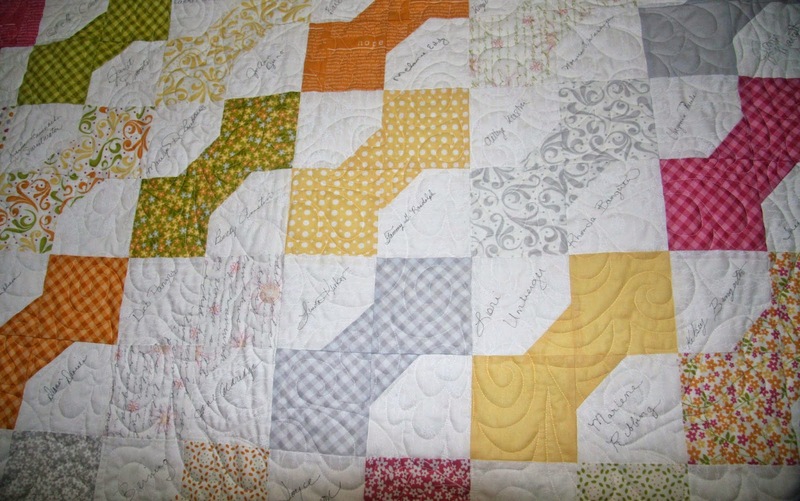 The modern geometrics called for a simpler quilt, so I opted to use Amy Bradley's "The Hoots" pattern for this one-of-a-kind quilt. 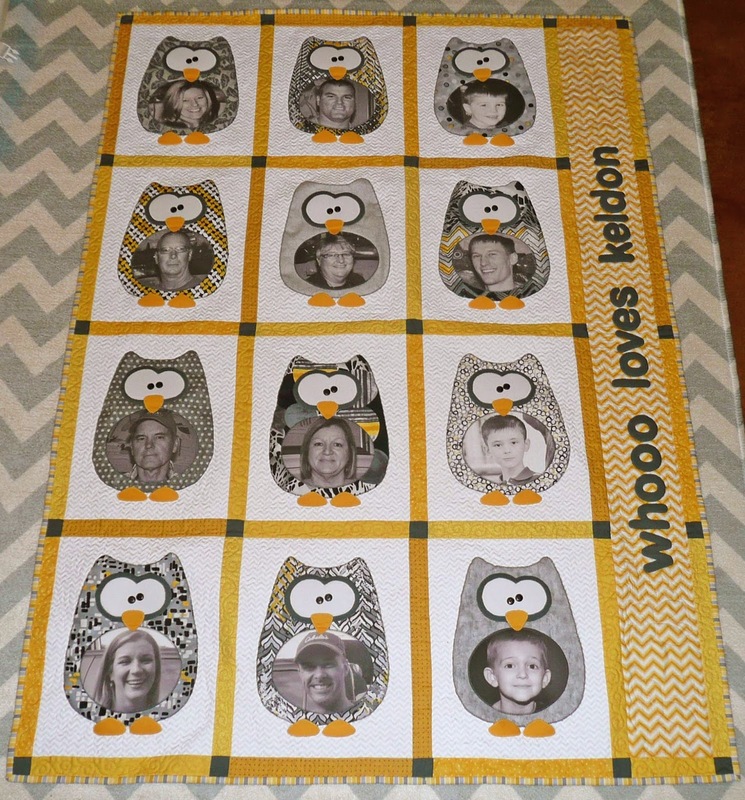 This time, the photos are featured on the tummies of owls; and to coordinate with the color scheme, the photos were printed in black and white. 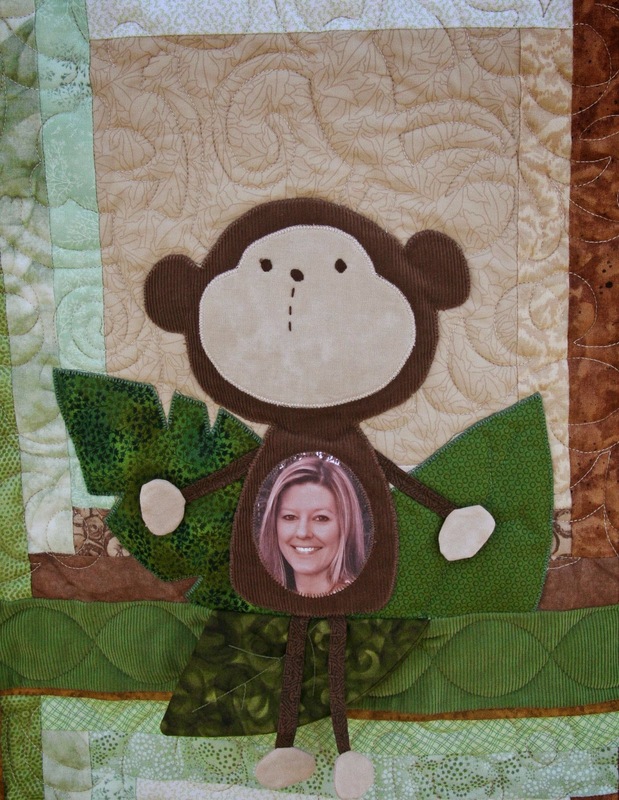 So, whether it's for a new arrival, a special anniversary or a milestone birthday, consider making a photo quilt for that one-of-a-kind keepsake gift. 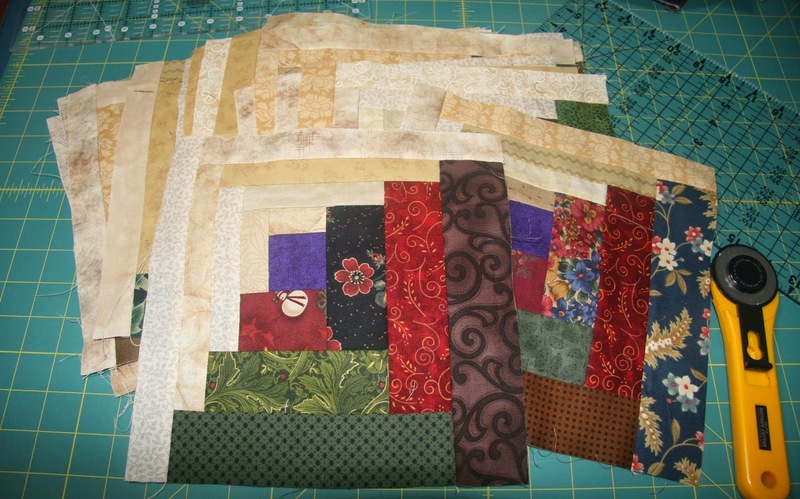 My latest quilting obsession has been Stack 'n Whack and One Block Wonder quilts. 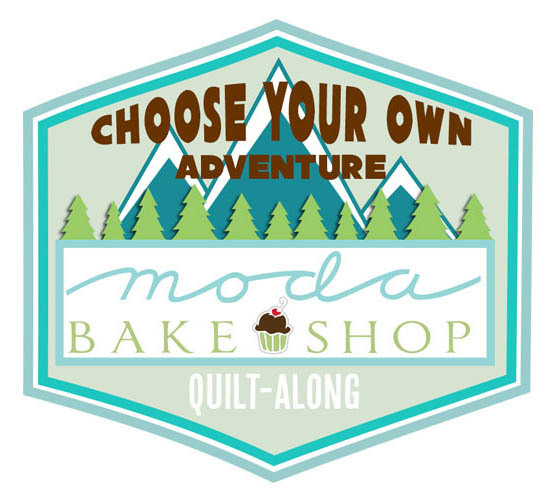 Both quilts involve layering four, six or eight repeats of fabric exactly one on top of the other, then cutting the fabric into strips and then into squares or triangles. 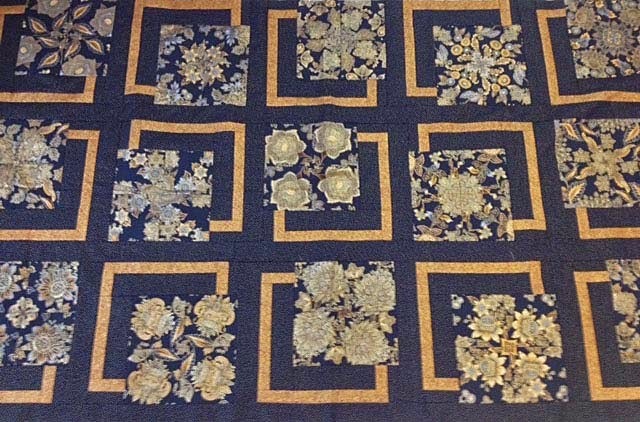 Those squares or triangles are then arranged in a kaleidoscope-effect and sewn together. 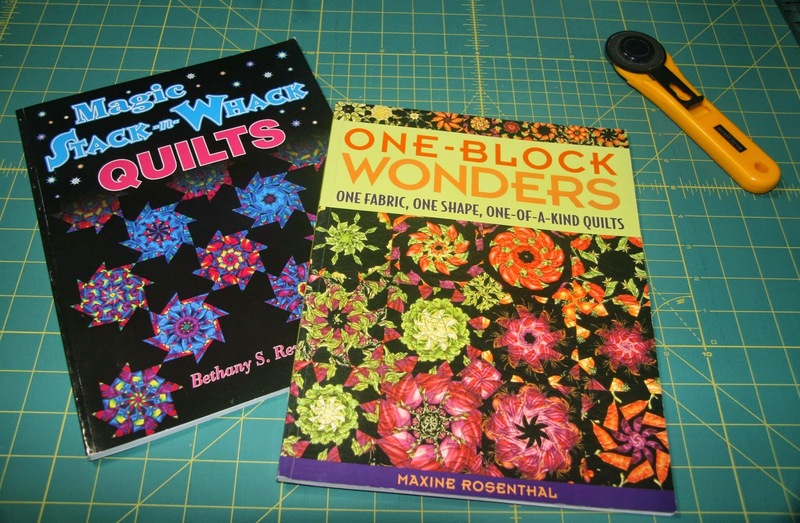 There are some great books out there that explain how to make these blocks, plus there are tutorials on the web too. 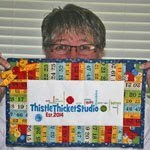 Here's my tip - those four-patch Stack 'n Whack blocks can add some additional pizazz to quilt patterns that feature big squares, such as the BQ pattern by Maple Island Quilts! 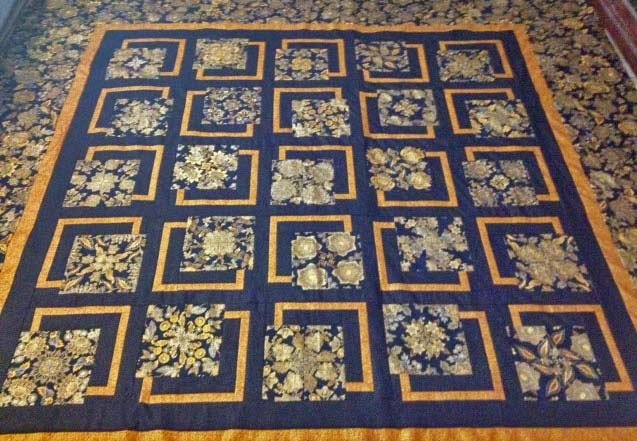 I inserted SnW blocks into my version of the BQ quilt pattern (for my version, I reduced the overall block size from an 18" block to a 12" block) and then added sashing between the blocks. 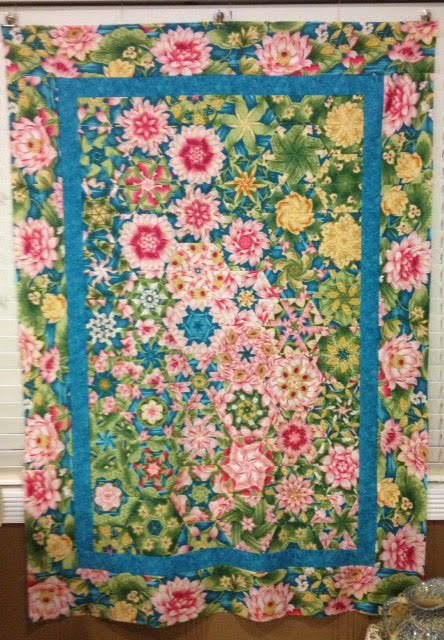 This quilt is currently at the quilters, but it's destined to show up here again when it's completed! 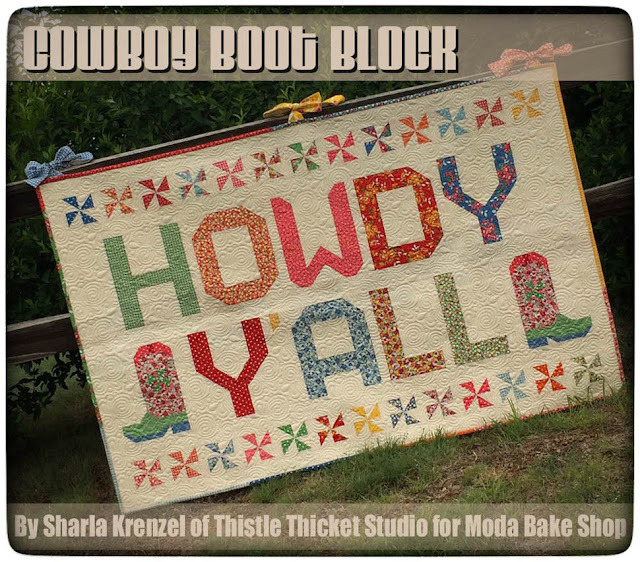 And since I mentioned that I also have been obsessed with the One Block Wonder quilt, here's my first completed quilt top (also at the quilters). I'm calling it "Dance of the Water Lilies". 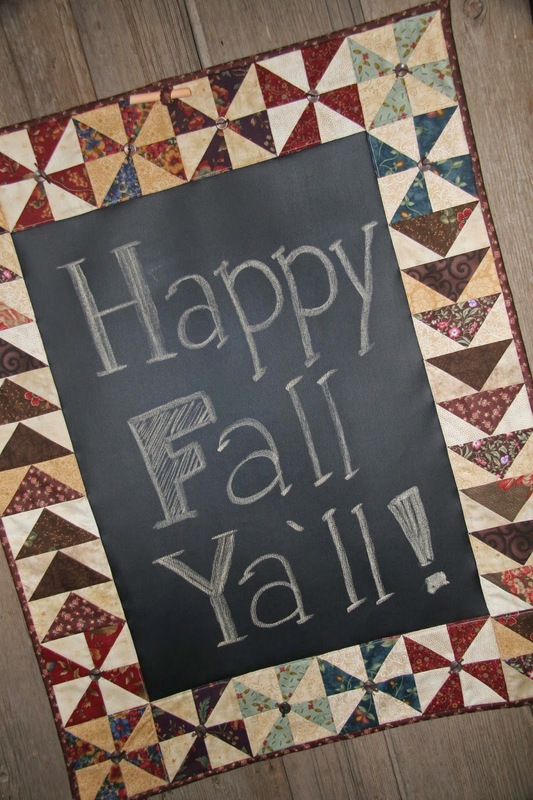 So what's your latest quilting obsession? 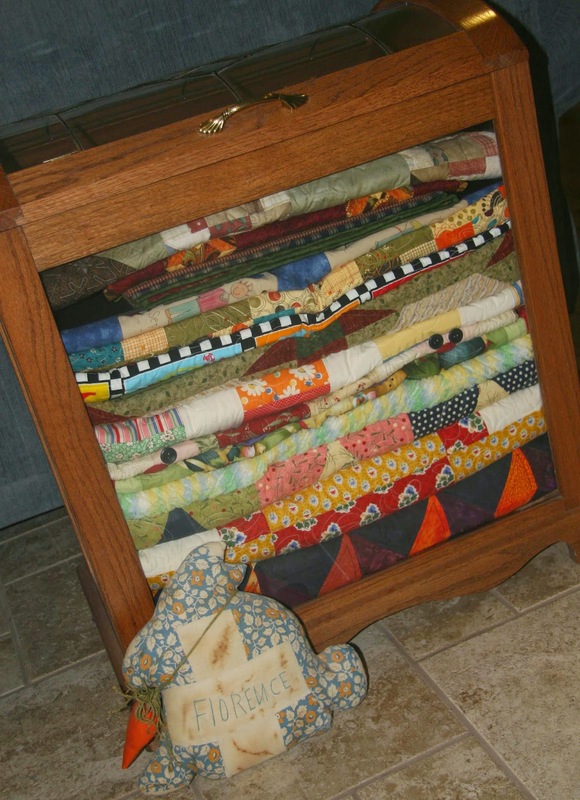 I store my scraps in cubbies by color. 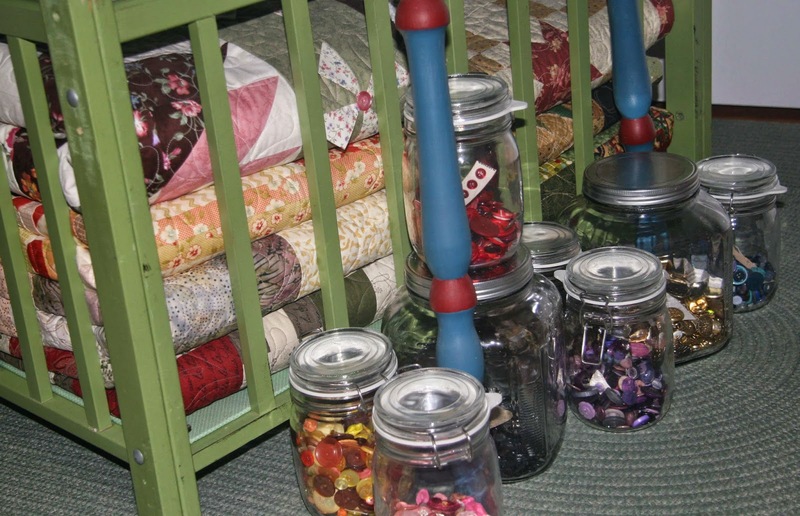 Canning jars filled with some of my favorite things....buttons, wooden thread spools, and thimbles. 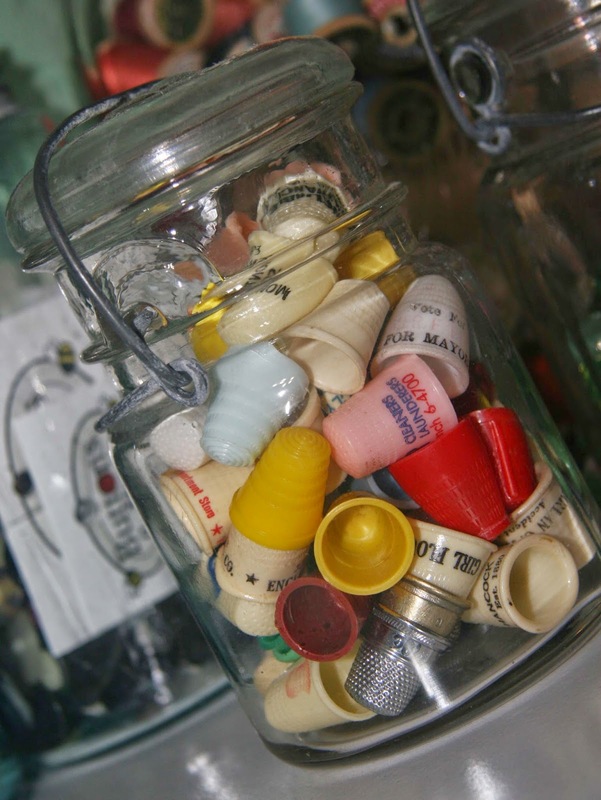 My jar of plastic advertising thimbles. 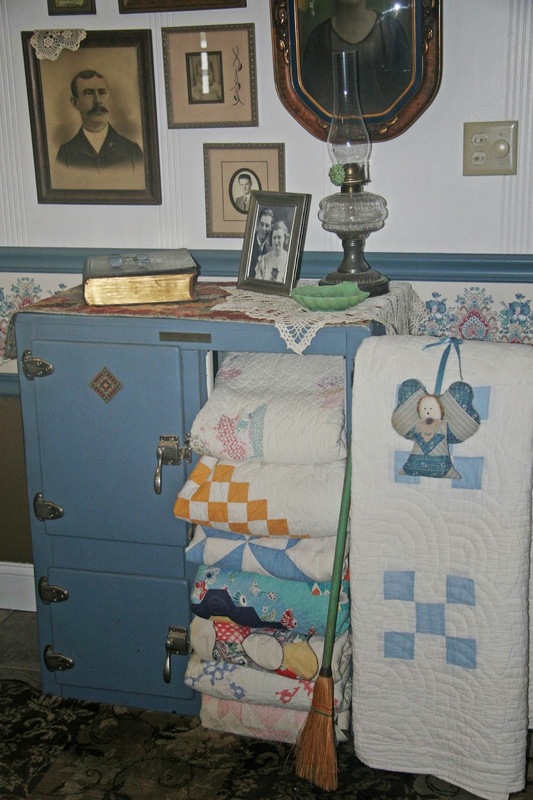 Love my toy washing machine and sewing machine. 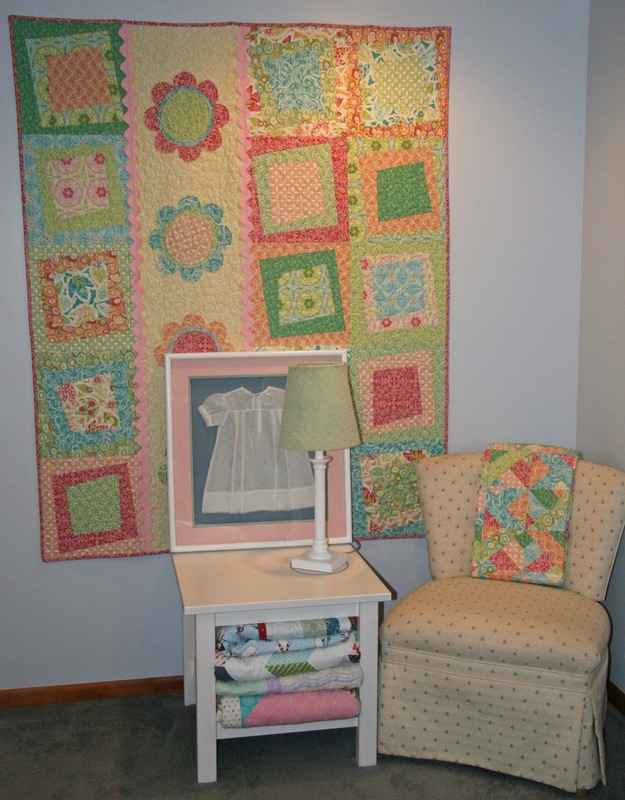 The green baby crib was a junking find - perfect for displaying quilts. 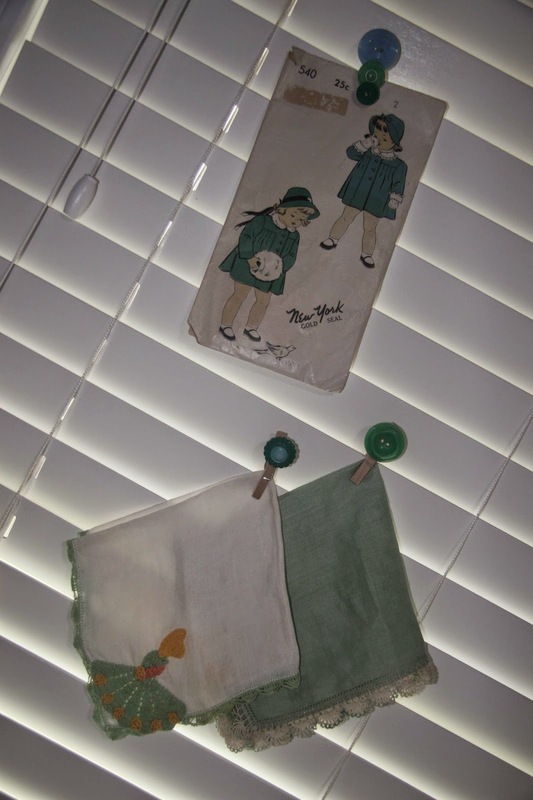 Vintage green hankies and pattern. 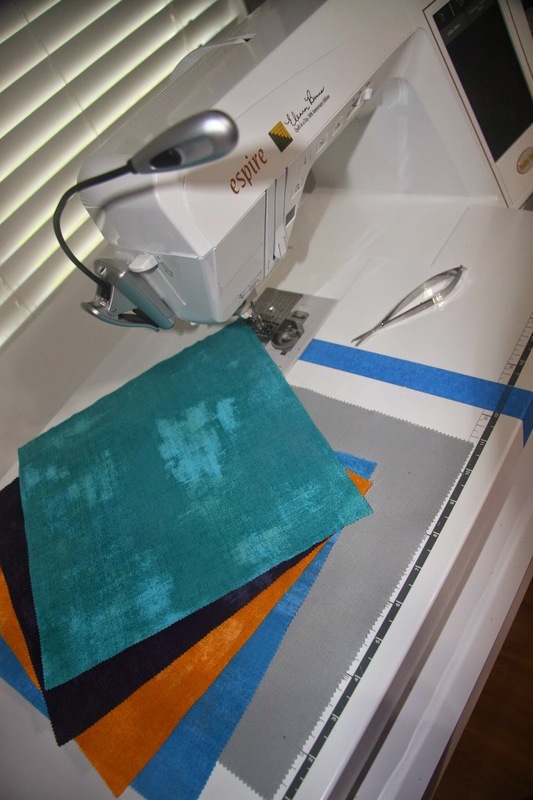 My sewing machine....And a hint at my current design project. 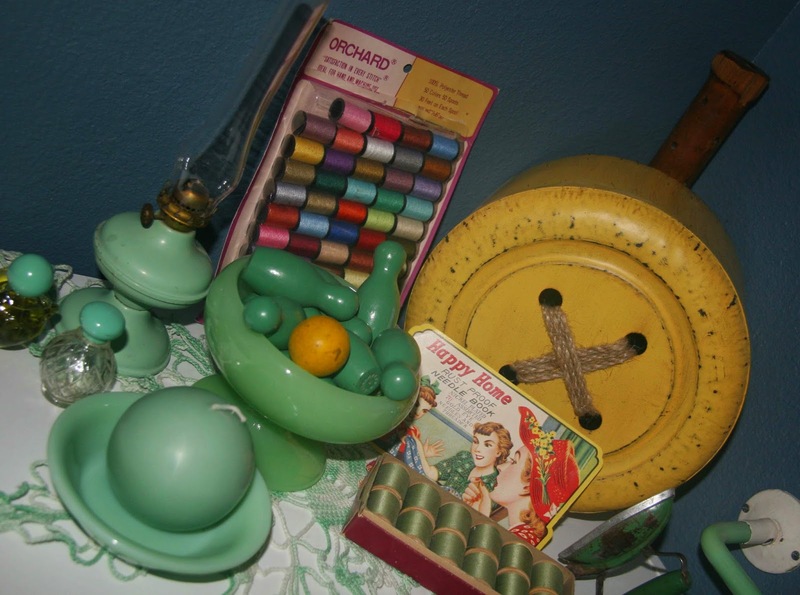 More collections of vintage sewing notions and jadite green 'things'. 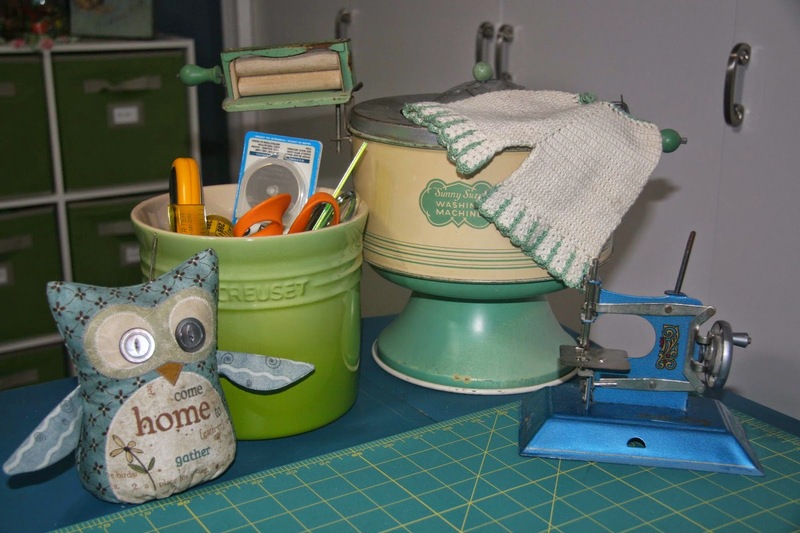 My toy sewing machine collection. 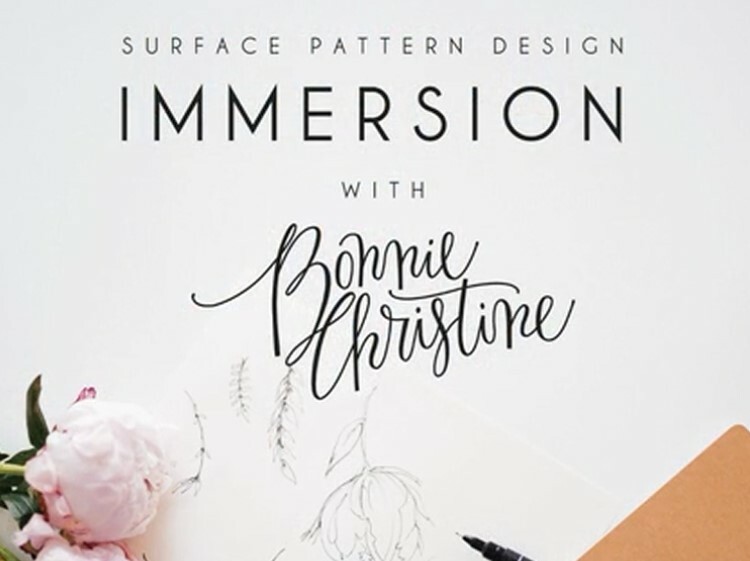 Thanks for stopping by to visit my studio! I enjoyed sharing a piece of my heaven with you, but it's time to get back to that secret design project I mentioned.